Dental assistant wanted Do you have the following attributes to be one of the top paid dental assistants in Collier County? We are looking for a motivated self-starter who is a good team player and has experience with the assisting of restoring implants and other types of general dentistry. Dependability, accountability, competence, and a positive outlook as well as pride in their work is essential as well as trust and loyalty, in order to deliver an outstanding experience for our patients. Good hours, lots of time off, and a guaranteed salary for the right person. Excellent opportunity in an established cosmetic, full-service dental practice in American Canyon (between Napa and Vallejo). We are currently looking for a part time hygienist who is self-motivated, energetic and can exhibit the same positive attitude as the rest of our dental family. Qualities must include superb customer service skills, professionalism, and excellent clinical skills. As well as be able to promote dentistry and utilize the cavitron effectively. Computer literacy is important and bi-lingual in second language is preferred. If you truly believe patients are the most important part of the practice and want to deliver that Nordstrom's touch, we would love to talk to you! Office is equipped with CEREC, CBCT, digital x-rays, digital charting, and intra-oral cameras. The position is currently available for Tuesdays and may include Wednesdays and Thursdays in near future. Work hours are from 11AM to 8PM. Dental assistant wanted for a nice friendly office in San Fernando City , they must graduate from a credential dental assistant school, experience doesn't required . 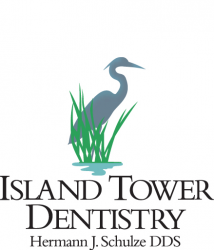 Talented and dependable Dental Assistant wanted for fast-paced Dental practice! There are dental jobs and there are dental careers. If you’re passionate about helping people get the most out of their dental care, you could be the perfect fit for our team! We’re seeking a motivated Dental Assistant to join our team! Our core values: · Act with respect and integrity · Value our patients and communities · Maintain a friendly, warm and clean environment · Do what it takes to get the job done (right!) · Employee care: competitive pay; medical, vision and free dental benefits; paid holidays; PTO; and monthly bonus opportunities Your role: · Assist lead dental assistant · Sterilize and disinfect instruments, equipment and operatory · Prepare the instruments and materials required to treat each patient · Obtain patients’ dental records · Maintain patient comfort (keep patients’ mouths dry and clear) · Prepare materials for impressions and restorations · Complete radiographic images and intraoral photos · Communicate effectively with team and patients Factors for success in this role: · Teachable/Quick learner · Outgoing and energetic personality · Team player with a positive attitude · Eager self-starter · Efficient and adaptable · Detail oriented Think you have what it takes? Keep reading! Job Requirements: Do you have the following? · Current Texas RDA license (required) · 1.5+ yrs RDA experience (required) · Digital practice software experience (Eaglesoft/Dentrix preferred) · Flexibility to work every other Saturday (9am-3pm) · Additional certifications a plus - coronal polishing, CPR, Nitrous Oxide If you have the above, excel in providing exceptional patient care and are eager to learn and grow, we have the opportunity for you. Please submit your resume today! Do you have a great personality, awesome phone skillz and a twisted sense of humor? Then we want you to join our team! This full time position is available to someone who has a current RDA license and is highly motivated to learn/adapt to our systems and style of practice. Your time will be split fairly evenly between assisting the dentist and answering phones/scheduling. Full time benefits include Paid Holidays, Paid Sick/Vacation time, Health Benefits, and an uplifting work environment :) Email us with: 1) Three References, 2) A cover letter, and 3) Your Resume with phone number included. ORAL & MAXILLOFACIAL SURGERY ASSISTANT WANTED IMMEDIATELY! Be a part of a great team! Seeking surgical assistant for BUSY 2-doctor oral surgery practice. Duties include chair-side assisting, anesthesia monitoring and airway support and circulation/instrument sterilization. Applicant must have an excellent attitude, a strong work ethic and be intelligent, respectful, quick to learn, motivated, honest, compassionate and a good team player. ***EXPERIENCE AS SURGICAL TECH OR IN ORAL SURGERY PREFERRED! Competitive salary and benefit package offered for full-time position. Please send resume to be considered for an interview. Serious applicants ONLY please. Dental Assistant - Delray Beach Dental Assistant wanted for a busy established General Dental Practice. We are located in West Delray Beach, Florida. Job Requirements: Requirements for this position are: 1. Must be reliable. 2. Must be clean and presentable. 3. Compassionate. 4. Motivated and will to be a team member. 5. We are a paperless office, therefore, the assistant must be comfortable with computers and proficient in Dentrix. 6. The Dental Assistant must be certified and have an expanded duties certificate. In a small paragraph, let us know why you will be an asset to our private practice. Please include your references with your resume. There will be a phone interview followed by a working interview. Dental Assistant wanted for our fun growing practice. Must be have dental experience and be a team player. Cerec experience a plus!! Looking forward to meeting the new addition to our team!